Nearly 50% of new businesses fail to survive past the five-year point, and 90% will be gone after 10 years. If you’re wondering why the failure rate is so high, the top five reasons for business failure include three that are related to finance. One of them is failure to track your finances, the second one is overspending, and the third one is failure to set aside enough reserve capital. The sad part is that so many of these failed businesses could have been easily saved by a bit of financial planning. That is the point of this article – to serve as a financial planning guide for a new business, so that you know what costs and expenses you need to track and plan for. Lean startup want to save money on office space and startup costs? Come to Evoma – coworking spaces in Bangalore, affordable serviced offices, virtual office services, and more. These are one time expenditures and asset purchases that your company must make before it opens its door for business. It could be office space (purchase or rental deposit), renovation costs, equipment and machinery, furniture, computer hardware and software, website development, office supplies, inventory, business registration and incorporation fees, licenses and permits, etc. The total startup cost and its breakup into individual items is an essential part of any business plan. The first thing that any banker, lender or investor you approach to raise funding for your business will want to know is your total startup cost, what you are going to spend it on, and then the amount of reserve or working capital you need for operations once the business is up and running. In order to make this easy for you, take a look at this startup costs calculator. Make use of it to find out how much funding you need to raise. A huge number of new businesses fail to manage their cash flow, and you don’t even know that you’re spending more than what’s coming in. So you run out of money quickly, and then it becomes very hard to run a business. It’s hard because you don’t have steady customers and sales revenue flowing in. Meanwhile, you are spending heavily on startup costs, overheads and customer acquisition. If this cash flow is not planned for and closely monitored, you won’t be able to find out what you need to do to keep the cash flowing. So this too needs to be part of your business plan, as the projected amount of reserve capital you need to manage operational expenses and costs until your sales revenue starts flowing in. Again, as a value add-on to this financial planning guide, here’s a link to a working capital calculator. Make use of it to figure out how much reserve capital you need to set aside, and then you can pump in more capital if and as needed based on regular analysis of your cash flow. Every rupee that a new small business owner or startup founder takes out of the business reduces your cash flow, while every rupee reinvested is going to help you grow your business that much faster. Also, when a salary is taken from the business, that means you will incur payroll taxes on top of the existing operating expenses. This is fine for established businesses, but for a new business or startup, the owner cannot take money out. You must use your savings to handle your personal expenses until such time as your business becomes profitable. So when you are trying to figure out how much funding you need to raise to start a business and run it until it’s profitable, take into account your personal expenses for that period and set aside that amount. Your balance sheet is a detailed snapshot of everything your business owns in terms of assets, as well as what it owes in terms of debt and liabilities, and the value of the owner’s equity stake in the business. Assets include everything from cash and inventory to land and buildings, machinery and equipment, vehicles, etc. Your debt and liabilities can be divided into short and long-term liabilities. The short term items, which are the liabilities to be met monthly and within the next 12 months, include everything from accounts payable to taxes, insurance payments, monthly salaries, and consultant fees. Then there are long-term liabilities such as debt notes that must be met after a fixed period. Note that loans span across both types of liabilities, since they must partially be met in the short-term and also are long-term liabilities. Once again, you don’t have to worry about how to prepare your balance sheet. Simply download this sample balance sheet document, and modify it to suit your specific business process and structure. All the costs and expenses and calculations that we have looked at so far have not factored in one very important part of your business – the sales revenue and profits that you will generate. To be specific, how do you find out at what point will your business generate enough sales revenue to break even? This is what is called breakeven analysis. You already know all your costs. So your breakeven point can be pegged, and moved forward or back, based on your pricing strategy. Selling Price – The price at which you sell your product. Fixed Costs – Costs that involve rent, mortgage, equipment lease(s), loan repayment, insurance, etc. which do not change as sales increase or decrease. Variable Costs – These are costs like staff salaries, raw material, production costs, etc. that will increase or decrease in direct proportion to sales. We can even give you the actual breakeven analysis formula. But once again, Evoma has made it easy for you to figure out your breakeven point. Just use this breakeven analysis calculator. Feed in all the input data it asks for, and you will have your breakeven point. 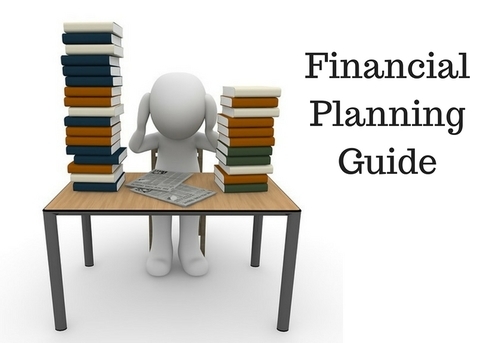 After reading this financial planning guide, you will have grasped the importance of knowing all your costs and keeping an eye on your cash flow and balance sheet. That’s the best way to start a business, run it profitably, and grow fast.